It’s Speedy Tuesday! 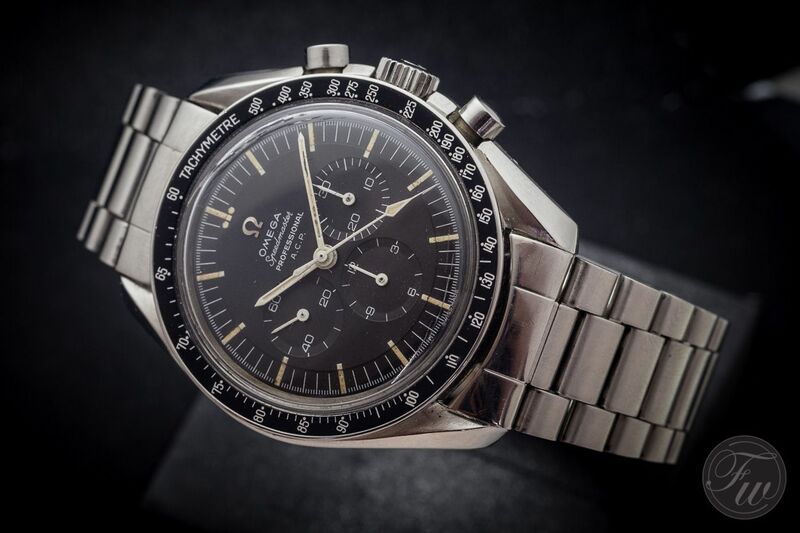 Although we welcome any type of Speedmaster for this topic, today we have something really rare. No other than the OMEGA Museum in Bienne contributed this Speedmaster for this Speedy Tuesday. This Speedmaster ACP was in their museum archives and we had the opportunity to shoot some photos of it. The OMEGA Speedmaster ACP is a reference 105.012 Speedy that was delivered to the Automovil Club Peruano. A common misunderstanding is that ACP stands for Association of Chief of Police on these watches. 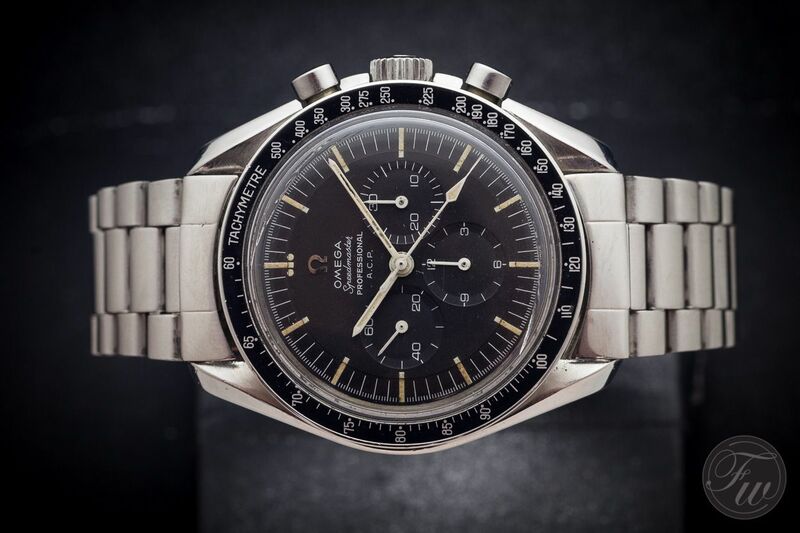 The strange thing is, that the Speedmaster ref.105.012 goes back to 1963, together with the 105.003. The 105.003 had no crown guards, where the 105.012 did have crown guards (as you can see), as per request from NASA’s procurement officer James H Ragan. 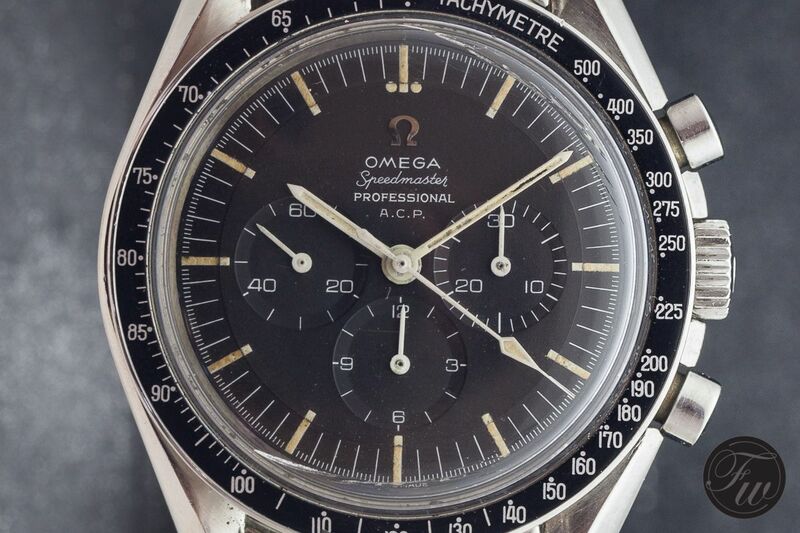 We’ve seen Speedmaster ACP models from 1963 (based on the 20,5xxxxxx serial number) while the wording PROFESSIONAL on the dial wasn’t used before 1966. We happen to believe that the ACP watches were produced on request of the Automovil Club Peruano after 1965, using a batch of older movements. However, it is just a guess. It also might indicate that the dial was done later on, but this is very unlikely, taking the quality of the print into consideration. Another possibility is that the dials with Speedmaster Professional printing were delivered earlier than we have thought so far. A little detail that might back up this assumption (of earlier Professional dials) is that these ACP dials do not have the T’s besides ‘Swiss Made’ on the dial to indicate the use of tritium. Anyway, watches like these are very rare and because of that, there might be some details to research. If you happen to know more about these Speedmaster Professional ACP watches, do not hesitate to contact us. Although we have quite some Speedmasters from our readers lined-up for the coming Speedy Tuesdays, make sure to keep them coming! Use the contact form to get in touch with us. All images in this blog post can be clicked for a high resolution photo. A very big thank you to the people of OMEGA in Bienne for having us over and showing us the most incredible pieces from both the museum and the archives.